Fall is my favourite month because the weather has cooled down so it isn’t 100 hundred degrees anymore, and it is the perfect time of the year to curl up and read a good book with a cup of hot tea or coffee. Personally, I feel like the books I read in the fall are more heavy and dark books, so here are a few recommendations! This is the perfect book to read in the fall because it is dark and mystical and is definitely a page turner. The Raven Boys follows a cast of different characters and one of them is Blue Sargent, a girl from a family of psychics who doesn’t seem to possess the same gift. That is until one night she sees a ghost of the soon-to-be dead and he introduces himself as Gansey. Blue is mystified at how she could see him, but when she meets the real Gansey one day, things flip upside down. I really enjoyed this book and am excited to continue on with the series this fall! Throne of Glass is a dark, high fantasy series that has magic and assassins, and is overall a very complex and interesting story. While I am not a huge fan of the books after book two, I did really enjoy this first one and am dying to give it a re read. Throne of Glass follows an assassin named Calaena Sardothian who has been let out of a slave camp so she can participate in a tournament to become the king’s personal assassin. There is a lot of action, romance and adventure and while it has been a while since I first read it, I remember that I loved it! I would say all of Stephen King’s books are very dark, so I had to add one to the list. 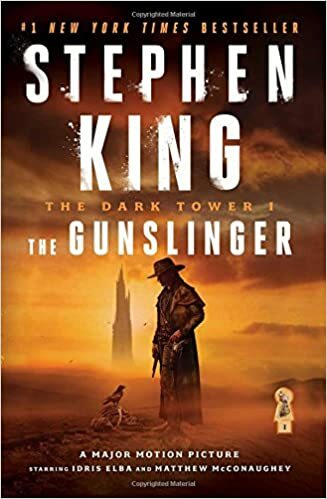 This is the first book in The Dark Tower series, which has been recently adapted into a movie. Since I have only seen the movie and haven’t read the book (yet), and since the setting sounds pretty complex I won’t try to explain it because I would probably not do it justice! It does sounds like a very adventurous and entertaining read though, and am excited to get to it this fall. This is a contemporary book that follows a girl named Mia Hall. 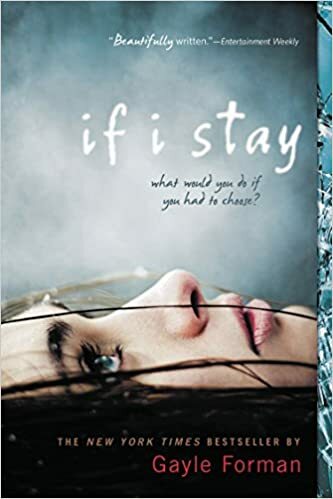 Mia strives to get accepted into Julliard and live out her dreams of playing the cello, but that is all jeopardized when she and her family get into a car crash. We follow Mia in the past and present, and learn more about her as well as what is going on around her during the crash. This is also a movie, which I really enjoyed, and is dark and sad, but also happy and fluffy a lot of the time! The Hunger Games may be one of the darkest books out there because of its concept…but I think that is what makes it so appealing. 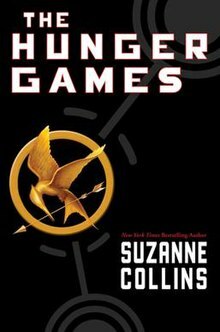 The Hunger Games, if you didn’t know, follows our main character Katniss who lives in a society where at the age of 12, you are reaped among others to participate in the Hunger Games, where 24 kids are placed in an arena and forced to kill each other to win. The movies are amazing and the books are also good and very fall appropriate so definitely check them out if you haven’t already! Those are five book recommendations for fall and I hope you enjoyed. Don’t forget to check out my last blog post: Reading/Writing Update! Here are some of the books that I personally think would be very good movies or TV shows if done correctly. Comment the books you think would make great movies/shows! Throne of Glass series by Sarah J Maas. I know that there has been talk that this show has been optioned for a TV series and I really hope it becomes one because I think if they do everything right, the TV show will be amazing. It is about the assassin who competes in this competition to become the King’s assassin and its fantastic. Game of Thrones lovers would adore this. The Lunar Chronicles by Marissa Meyer would also make a great TV show if done correctly. It is a fantasy/sci-fi book series that is about people on the moon trying to take control over earth and I just think it would make to be a very interesting and enjoyable TV show that everyone would love. Anna and the French Kiss by Stephanie Perkins would be a cute, adorable movie in my opinion. It is about this girl named Anna who is forced to attend a boarding school in Paris and I just think it would be a great movie that falls under the quirky romance category. The Lux series by Jennifer L Armentrout would make really good movies I think. The books are just so easy and fun to read that I think the movies would be as well. If the casting and script was done correctly I think this could easily be one of my favourite movie adaptations. The Heroes of Olympus series by Rick Riordan could be a TV show as well BUT ONLY IF THEY DO IT RIGHT. The Percy Jackson movies were a fail but I feel like they could make it up by turning the spin off series into an action packed TV show! So I decided to recommend the best of the best of books because we all want to read books that won’t let us down! Here are some books that I find are absolutely amazing if you haven’t read them you need to right now! Lady Midnight by Cassandra Clare is an amazing first book to her new series The Dark Artifices. PLEASE READ: You absolutely MUST read the rest of her Shadowhunter novels (The Mortal Instruments and The Infernal Devices) otherwise you will not know at all what is going on…but this book is just so fantastic and so far it is my favourite book of the year! Obsidian by Jennifer L Armentrout is another amazing first book to her series, The Lux series. It is such a quick and easy read and it grips you until the end! Throne of Glass by Sarah J Maas is a fantastic book with such rich, interesting writing! If you are in the mood for high fantasy you must pick this up. The Lost Hero by Rick Riordan is the spin-off series of Percy Jackson which is one my favourite series ever. Obviously you must read the Percy Jackson and the Olympians series before diving into these books but it is so worth it. The first series is definitely directed to more middle grade readers but I enjoy it just as much. In my opinion, the Heroes of Olympus series is more mature and easier for older readers to read. Those are a few of my recommendations and I tried to switch it up a bit and not keep recommending the same books over and over so there you go!